The current economic expansion, now the second longest in post-war history, continues to roll onward at a steady pace. This sustained growth is creating fierce competition for high-quality labor in most industries, with many businesses looking for new offices to rent for their thriving businesses. Savvy commercial real estate executives are working alongside senior leadership in human resources and members of the C-suite to develop real estate strategies that attract and retain talent in the modern workplace. It is imperative for corporations to stay ahead of the changing commercial real estate trends. Speaking of real estate trends. My friend recently was tasked with saving his company money through making the office more efficient so he decided to do some research on business energy quotes to see if he could save any money there. He found some stupendous quotes through websites similar to Usave. He saved his company a lot of money because of it. Demographic developments impact who is in the space and how it is being used. Millennials are now the largest generation in the workforce, and they are driving the agendas of how companies operate, what workplaces look like and what technology is expected. They are not just businesses’ young workers either. Millennials born in the early 1980s are increasingly the leaders of their organizations. Coworking has both ridden and accelerated the wave of changing office layouts that are marked by quality buildouts, generous amenities and less space per worker. This new product type offers an alternative for large organizations, but also has impacted how corporate occupiers think about the layout, quality and flexibility of their own office space with all of this office furniture that makes the office environment more friendly. Technology improvements make it easier for people to work from anywhere at any time. However, employers and workers want the communal benefits in relationships, trust building, culture development and collaboration that come from working face-to-face. The office is no longer where one needs to be, so occupiers are focused on creating attractive, functional and flexible work spaces in which one wants to be. The technology in the office space, as well as the amenities in and around the building, are key parts of today’s employee experience. Cushman & Wakefield’s newest occupier report, Space Matters, dives deep into four areas of importance to today’s CRE executive. It analyzes the national trends behind office density, amenities, parking and concessions. Additionally, it provides market-by-market comparisons of vital benchmarks for 40 of the country’s largest and fastest-growing cities. Office density: Over the past 10 years, occupiers have been allocating less square footage per employee. The national average is 194 square feet per employee, which is down 8.3 percent from 2009. Square footage per worker varies across markets; in some markets it is less than 135 square feet per employee (e.g., Seattle and Washington, D.C.) while in others it is in the mid or high 200s (e.g., San Mateo County, California and Northern New Jersey). More expensive markets tend to have less space per employee, but the rate of densification is more dependent on the amount of new office supply created since the recession. 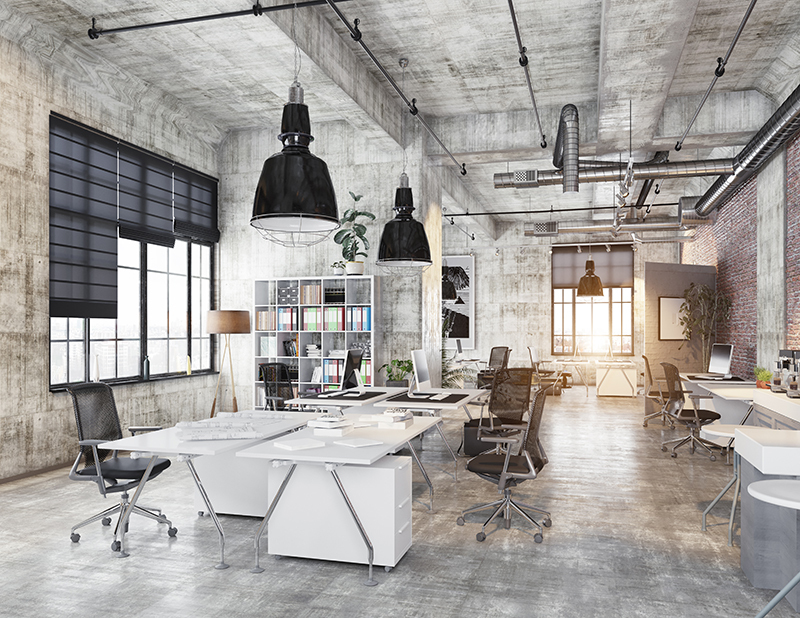 Some markets with recent strong job growth have not had the required new office space construction to meet demand for growing companies in the market. 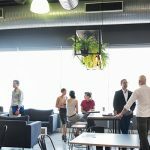 Occupiers have been allocating less square footage per employee, but that trend is starting to slow down as businesses grapple with the right balance of personal, private, communal and break space. Cushman & Wakefield expects that more densification will occur, but at a slower rate as companies supplement most private space reductions with increases in shared space. 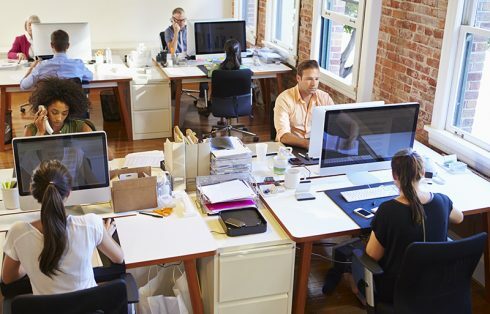 This balancing act will result in less attention on purely reducing square footage per employee and more emphasis on the effectiveness and flexibility of the office space. Amenities: Experience has become a focus of businesses in every industry sector as a way to differentiate from the competition. This is true for retail stores in search of customers, for technology firms consumed with an intuitive, personalized user experience, and for companies competing to find, attract and retain top talent in an increasingly tight labor market. The office employee’s experience is not just a function of their supervisor and human resources. It is also very much dependent upon the nature and quality of the office itself: the building, the neighborhood and the office space. To that end, occupiers and landlords alike are searching for the right mix of amenities to create a great place for employees to work and thrive. Common amenities — such as fitness centers and cost-effective food options — still remain very important. However, there is large opportunity for growth in how technology amenities are leveraged by occupiers and landlords. In response, the world of PropTech software is growing rapidly, offering potential solutions through space usage analytics, sensor controls, personalized services and much more. Parking: Parking costs are increasing, specifically in certain urban central business districts (CBD), as it becomes more difficult to offer as many spaces as needed for the modern office. The average monthly cost for an office building parking spot ended 2017 at $183, which was up 6.4 percent on average from the previous year. 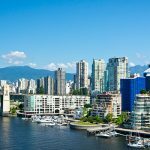 Office densities have been increasing over the past eight years, which means that the number of people working in a building has been increasing. At the same time, the ratio of parking spots developed per square footage of new office buildings remains largely unchanged. In denser office sub-markets around the United States this has led to a shortage of parking. As prices have been increasing, occupiers are looking at creative options to meet the challenge. Some of the largest occupiers have created their own transit option with buses that move their employees in and around the city. Many companies have turned to financial incentives to change commuting patterns among their employees. Additionally, occupiers are partnering with shared ride services to offer their employees with discounts or even per diems to ease the pain of last-mile commuting. This can open up public transportation as a more viable option for buildings located outside a comfortable walking distant of a transit station. Also looming as part of this discussion is what impact autonomous vehicles may have on parking demand in the future. Concessions: Free rent and tenant improvement allowances increased over the past year, but gains were driven primarily by gateway markets in 2017. Factors driving this trend include increased construction in some markets and a pending slowdown in hiring that decreases demand for space, even as companies continue to shrink the amount of square footage allocated per each employee. In 2017, increases in concessions were primarily focused in five of the six gateway markets: Boston, Chicago, New York, San Francisco and Washington, D.C. Los Angeles was the only gateway market to see concessions decrease last year. Across all six gateway markets the average tenant improvement (TI) allowance increased 21.7 percent from 2016 to 2017. In comparison, TI allowances grew by less than 4 percent in the Northeast and West regions, and actually decreased on average in the South and Midwest. This trend will spread and some secondary markets will soften as absorption slows down and/or new supply comes online. In fact, nearly half of the 42 markets analyzed by Cushman & Wakefield are forecasted to see tenant TI allowances rise in 2018. Read the whole report and learn more about these critical occupier trends. A variation on this blog post was originally published on Cushman & Wakefield’s blog. 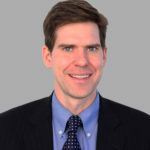 David Smith is the Vice President, Americas Head of Occupier Research. He produces occupier thought leadership content for the Research Center of Excellence and directs a program of market presentations, written analysis, surveys, forecasts, and data collection that supports Global Occupier Services and the brokerage business, as well as advance the strategic plan in Americas Research. I was unaware of the fact that free rent and tenant improvement allowances have increased over the recent years. When it comes to leasing an office space, it’s vital to work with a real estate company that makes your needs a priority. If I were to start a company, I would make sure to call a reliable real estate company that can fill my needs.